Joaquin Buitrago, a photographer in the Castaneda Insane Asylum, believes a patient is a prostitute he knew years earlier. His obsession in confirming Matilde's identity leads him to explore the clinics records, and her tragic history. He discovers that she was a peasant adopted by a doctor uncle. She led a calm life until Cástulo, a young revolutionary chased by the authorities, finds shelter in her home. Matilde's eyes are opened to the social upheaval will lead her to break with her uncle and hide out with Diamantina Vicari. Diamantina's death devastates Matilde so much that she wanders about, completely lost, doing all kinds of jobs, including prostitution. As the photographer discovers more details, he becomes convinced that he and Matilde should live together. Ultimately, as they face defeat in a repressive society, they search to establish in the rubble an uncertain future that will somehow restore their freedom. Born in Mexico, Cristina Rivera-Garza is now Professor of History at San Diego State University. 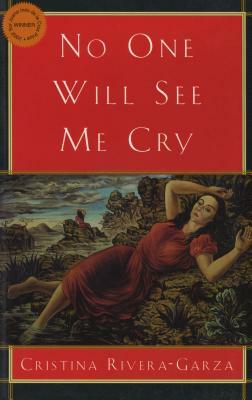 Her collection of short stories, La guerra no importa (The War Doesn't Matter) won the National Prize in Mexico in 1987. Her first novel, Desconocer (Forgetting) was a finalist for the Juan Rulfo Prize in 1994. She lives in San Diego with her son Matías.